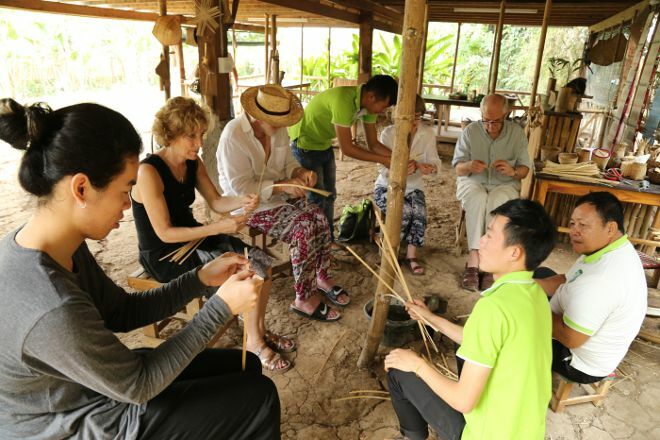 The Bamboo Experience is a family-run workshop where you'll have a chance to discover Lao culture through various bamboo products, activities, and foods. To book a class, contact the operator at least a day in advance. This is an ideal opportunity to connect with the local community and learn about its everyday way of life. The activity works well for all types of travelers, including families with curious kids. Visit the website for more info and practical details. Start your trip to Luang Prabang by creating a personalized itinerary on Inspirock. I highly recommend the Bamboo experience! Everything was perfect. The activities are disverse and playful. 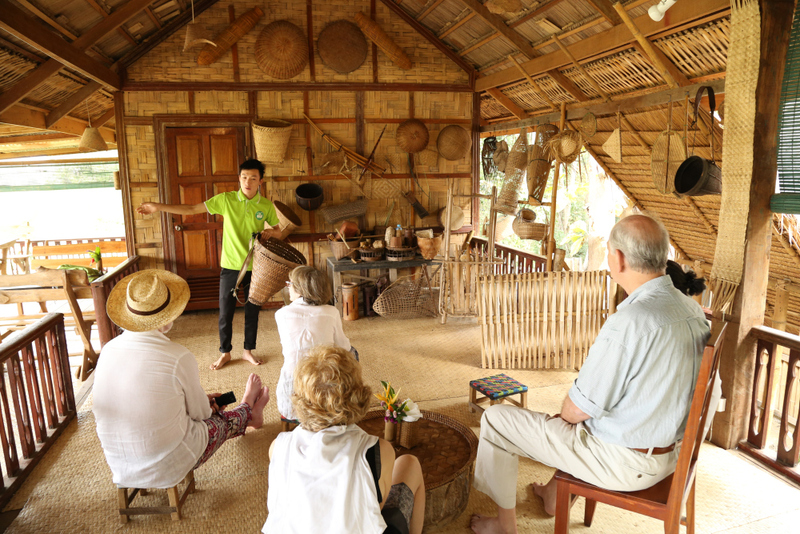 We learn a lot about the bamboo or the Lao culture. The team is smiling, welcoming and super friendly. Thank you all for this great moment!!! A whole package! Friendly and dedicated staff, exceptional service and food. Highly recommend. Educational. Amazing locally run activity and cooking demonstration. Absolutely lovely staff and can't recommend it enough to people of all ages. Really good. lunch was tasty, demonstrations were fun too. It's a very pleasant experience. Every day, we help thousands of travelers plan great vacations. Here are some tips on how to use your Listing Page to attract more travelers to your business - The Bamboo Experience. Promote your permanent link - https://www.inspirock.com/laos/luang-prabang/the-bamboo-experience-a6364124703 - on your website, your blog, and social media. When a traveler builds a plan from this page, the itinerary automatically includes The Bamboo Experience. 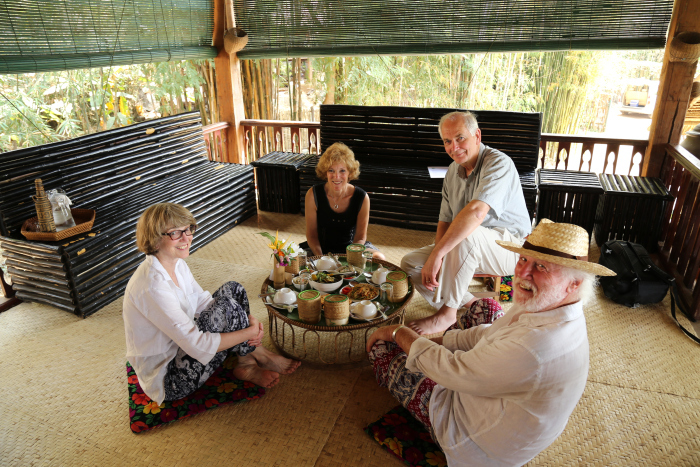 This is a great way for travelers looking for a great vacation in your city or country to also experience The Bamboo Experience. Promoting your link also lets your audience know that you are featured on a rapidly growing travel site. In addition, the more this page is used, the more we will promote The Bamboo Experience to other Inspirock users. For best results, use the customized Trip Planning Widget for The Bamboo Experience on your website. It has all the advantages mentioned above, plus users to your site can conveniently access it directly on your site. Visitors to your site will appreciate you offering them help with planning their vacation. Setting this up takes just a few minutes - Click here for instructions.